“ Israel woke up from its romantic vision of the Palestinian Authority Mahmoud Abbas, who was seen as a figure that calls for peace, after he woos Hamas movement,” Bennet added. Since the 1993 Oslo Accords, the Palestinian Authority officially controls a geographically non-contiguous territory comprising approx. 11% of the West Bank (known as Area A) which remains subject to Israeli incursions. Area B (approx. 28%) is subject to both Israeli occcupation forces and Palestinian civil control. Area C (approx. 61%) is under full Israeli control. 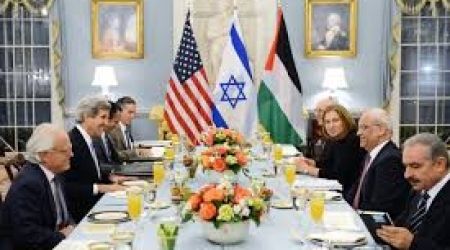 U.S. Secretary of State, John Kerry, will be holding a meeting, on Tuesday, May 13, 2014, with Palestinian President, Mahmoud Abbas, in London, to discuss efforts meant to ensure the resumption of direct Palestinian-Israeli peace talks. This would be the first meeting between Abbas and Kerry since direct talks with Tel Aviv tumbled a month ago due to Israel’s ongoing invasions, violations, and its illegitimate settlement construction and expansion activities. Israel also refused to release the remaining veteran Palestinian political prisoners, held since before the first Oslo Agreement of 1993. 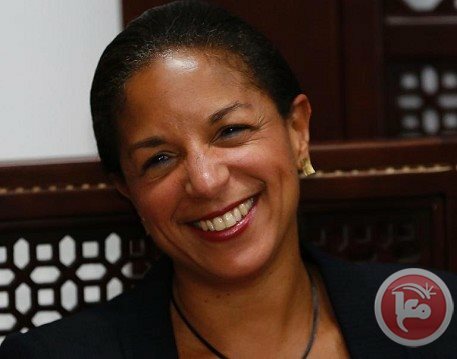 United States National Security Advisor, Susan Rice, stated the U.S is committed to the political process between Tel Aviv and Ramallah, and will continue to act to ensure the resumption of talks. Her statements came last night, during an event marking “Israel’s Independence”. She called on Israel and the Palestinians to resume direct talks to advance towards peace in the region. She said it is not too late to resume direct talks, and urged both parties to refrain from “unilateral moves” that obstruct talks instead of advancing them. Speaking during the event, Israeli Minister of Strategic Affairs, Yuval Steinitz, said it is true differences and tension exist between Israel and the United States regarding the deadlock in direct Palestinian-Israel talks, but affirmed the strong ties between the two countries. Israel was supposed to implement the fourth and final stage of releasing veteran detainees on March 28 as part of an American mediation that helped start direct talks nine months ago. During the first and second phases, Israel released, back in mid-August 26 veteran detainees (14 from Gaza and 12 from the West bank) and, in late October, it released 26 veteran detainees (21 from Gaza and 5 from the West Bank). 104 veteran detainees were supposed to be freed by March 28. 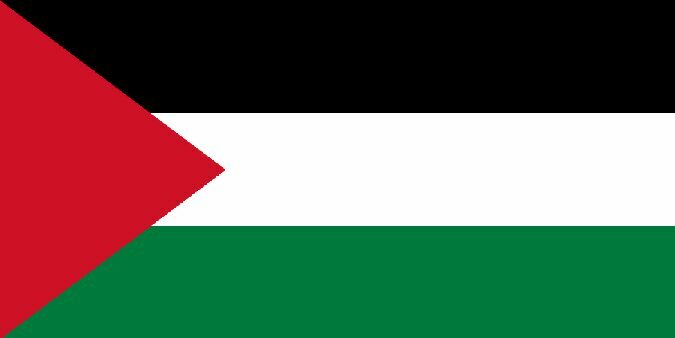 Palestinian and Israeli sources revealed, Sunday [May 11, 2014] that despite the collapse of direct Palestinian-Israeli negotiations, Israel and Palestinian negotiators are still holding “secret talks” in the Jordanian capital, Amman, and in occupied Jerusalem. The sources said that several sessions were held between the two sides, and that direct negotiations are ongoing without any changes to agree upon time-frames. They said that “negotiations are not restricted by a timetable”, and the two sides agreed to continue talks, mainly on the files of borders and security, especially since Jordan is directly involved in those files. Israeli and Palestinian negotiators agreed to continue the talks until reaching a final status agreement, despite the fact that the Palestinians resumed their international campaign aimed at joining more UN and international organizations and treaties. Israeli media sources said that U.S Secretary of State, John Kerry, is expected in the region this week, to hold a series of talks with Israeli and Palestinian negotiators, and will be holding a meeting with Palestinian President, Mahmoud Abbas. Kerry will attempt to reach an agreement on the main issues to be discussed during the second phase of direct talks that started, under American mediation, in July of last year. Israel failed to release the final phase of veteran Palestinian political prisoners, held before the first Oslo Agreement of 1993, and continued its invasions and assaults, in addition to continuing its illegitimate settlement construction and expansion activities in occupied Palestine, in direct violation of International Law and the Fourth Geneva Convention. Israel is also refusing to hold talks on the future of occupied Jerusalem, the anticipated capital of the Palestinian State, and refusing any withdrawal from the Jordan Valley, hills and areas of natural resources in the occupied West Bank. Tel Aviv also refuses to recognize the internationally guaranteed Right of Return of the Palestinian refugees, and insists on keeping its illegitimate settlements in the occupied West Bank, including in and around occupied East Jerusalem. The Israeli army conducts daily invasions and arrests, targeting various Palestinian communities in different parts of the West Bank and occupied Jerusalem, in addition to limited invasions into the Gaza Strip, and frequent attacks against fishermen in Gaza territorial waters and attacks against farmers and workers in Palestinian lands close to the border fence in the besieged coastal region. The occupied West Bank is now fragment and isolated by Israeli illegitimate settlements, and by the annexation wall isolating entire Palestinian communities, and isolating villagers from their orchards and farmlands. US Secretary of State John Kerry believes drawing up the borders of a future Palestinian state and agreeing to security arrangements for Israel will be "essential" if peace talks resume, the top US negotiator has said. In his most candid public comments since the nine-month negotiations collapsed last month, Martin Indyk described the behind-the-scenes atmosphere between Israelis and Palestinians and voiced hopes the talks would resume soon. 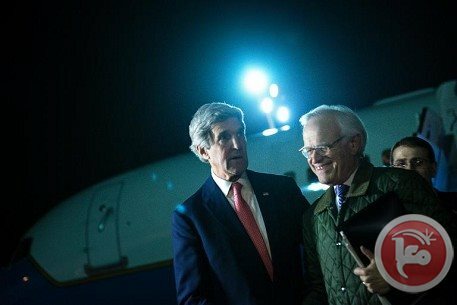 Speaking late Thursday at the Washington Institute think tank, Indyk said although the two sides both showed "flexibility" it was clear they "do not feel the pressing need to make the gut-wrenching compromises necessary to achieve peace." In the end despite nine months of "serious and intensive negotiations," Indyk said it was "easier for the Palestinians to sign conventions and appeal to international bodies in their supposed pursuit of 'justice.'" "It is safe to say that if we the US are the only party that has a sense of urgency, these negotiations will not succeed." Should the peace talks resume however, Kerry believes both sides must work on the future contours of a Palestinian state and security arrangements for Israel alongside the other core issues such as refugees and Jerusalem. Indyk pointed to "unprecedented" work by General John Allen on how to secure Israel's security, as well as a willingness by the President Mahmoud Abbas to put the security of a future Palestinian state in US hands to overcome Israeli distrust. "Once a border is agreed each party would be free to build in its own state," Indyk argued, highlighting the tensions caused during the past months by announcements of Israeli plans for more than 12,800 new settlements in the occupied West Bank and East Jerusalem. The top US negotiator, who spent hours locked in rooms pouring over documents, voiced concern that the settlement movement could one day "drive Israel into an irreversible bi-national reality." 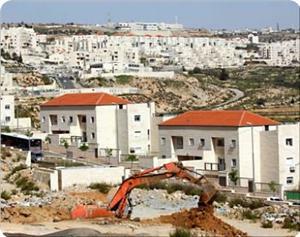 "Rampant settlement activity -– especially in the midst of negotiations -– doesn't just undermine Palestinian trust in the purpose of the negotiations; it can undermine Israel's Jewish future," Indyk warned. "If this continues, it could mortally wound the idea of Israel as a Jewish state –- and that would be a tragedy of historic proportions." But he insisted that despite moments of frustration and humiliation felt on either side, he had also witnessed "moments of genuine camaraderie and engagement in the negotiating room to find a settlement to these vexing challenges." Recalling how the talks which led to the 1979 Israel-Egypt peace treaty broke down for five months, he voiced hope negotiations would resume soon. "When they are ready, they will certainly find in Secretary Kerry and President (Barack) Obama willing partners in the effort to try again –- if they are prepared to do so in a serious way," he added. 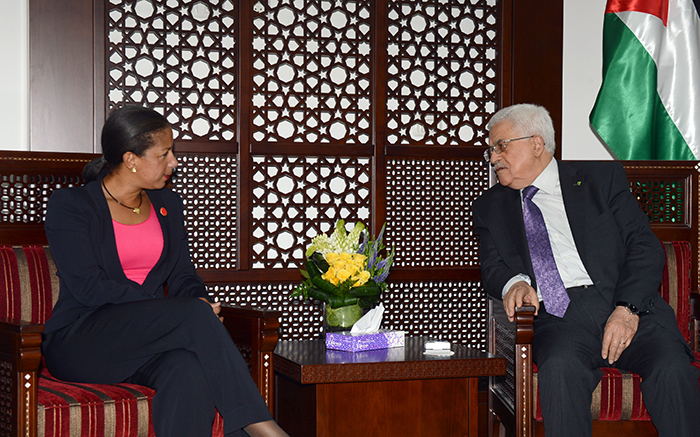 During his meeting with US National Security Adviser Susan Rice, Palestinian President Mahmoud Abbas stated that Tel Aviv must respect all signed agreements, release all detainees held since before the First Oslo Agreement, and must stop its settlement activities. Abbas’s Spokesperson, Nabil Abu Rodeina, stated that the two leaders discussed the latest developments, including the setback in peace talks, and that Abbas told Rice that Israel obstructed direct talks by its ongoing violations and preconditions. Abu Rodeina added that Abbas stressed all Israeli settlements in occupied Palestine are illegitimate under International Law, and that Israel should stop these activities, if it is interested in comprehensive peace. Rice presented some ideas regarding the resumption of direct talks, without obliging Israel to stop its violations and settlement activities. Abbas told her that the Palestinians are committed to a serious peace process leading to the end of the Israeli occupation of Palestine, and establishing an independent Palestinian State, with East Jerusalem as its capital. 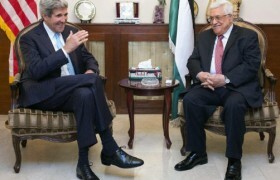 Referring to the National Unity Agreement, and reconciliation between the rival Fateh and Hamas parties, Abbas said that it is in the best interest of the Palestinian people to be a united nation, and a united land, adding that this can only be achieved through national unity, and forming a government of technocrats that prepare from comprehensive elections. Palestinian president Mahmoud Abbas said, during a TV interview Thursday, that Palestinians are ready to resume negotiations, but under the condition that Israel releases the fourth batch of veteran Palestinian prisoners, as previously agreed, and halts settlement construction for three months. These statements come only two weeks after Israel halted peace negotiations, following a unity deal between Hamas and Fatah, effectively ending months of unsuccessful talks. Abbas said in the interview, Ma'an reports, that it was Israel who had ended the negotiations, not the other way around and, furthermore, that Israel had threatened to stop the transfer of funds to the PA, a threat which he labeled a form of "gangsterism." Israel has not responded in regard to the resumption of talks, according to Abbas, but Palestinians will continue anchoring themselves in the international community, should Israel not agree to the conditions. Abbas: "Since 1948 Israel does not recognize the Palestinian people, and since 1967 it does not recognize the Palestinian people, and those who gave them the Balfour Declaration and the Mandate do not recognize the Palestinian people, and Israel believes that they live by chance in this country." 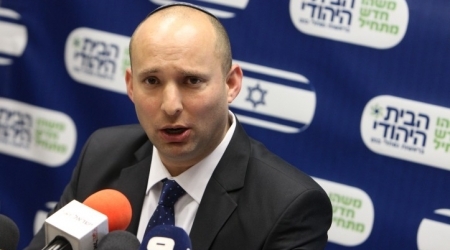 "In response to Israel's request to recognize the 'Jewish state' we said that we did not hear about the 'Jewish state' three years ago," he went on to say. "We told them that we recognize the state of Israel," noting that Israel had "signed a peace accord with Jordan and Egypt and did not make this request, and (Israel) can go to the UN and change the name of the state" as it suits them. Also giving voice to his thoughts concerning continued negotiations with Israel, in recent days, is chief negotiator and member of the PLO's Executive Committee, Saeb Erekat, who declared that the door to continuing negotiations is not completely closed, but that the lines of communication are still, in fact, open with the American administration, as they attempt to revive the talks. 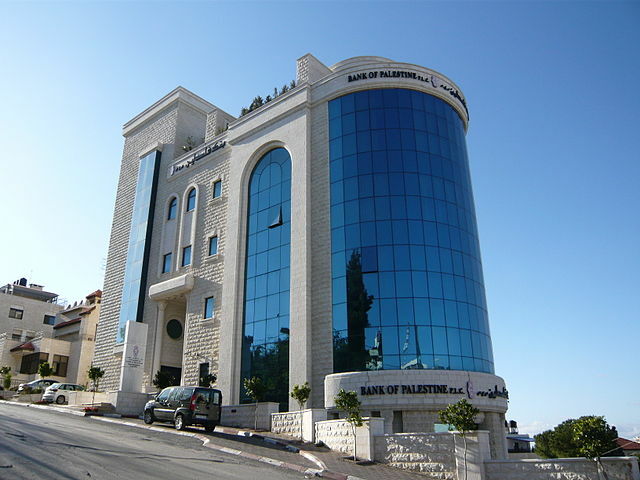 According to the PNN, Erakat also denied the comments made in the 'Asharq Al-Awsat' newspaper of London, which affirmed the existence of secret talks with Israel. Furthermore, he blamed them for obstructing the peace process. The official negotiation period formally ended on April 29, 2014. 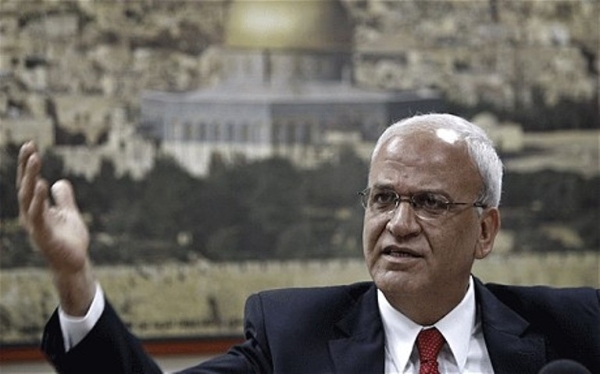 Saeb Erekat, member of the Executive Committe of the Palestine Liberation Organization, of the Central Committe of Fatah and chief Palestinian negotiator, has declared that the door to continuing the negotiations with Israel is not completely closed. He has stressed that they are still in contact with the American administration, as they are trying to revive the peace process. Erakat also denied the comments made in the 'Asharq Al-Awsat' newspaper of London where they affirm the existence of secret talks with Israel, and he blamed them of obstructing the negotiations. Peres said he and Abbas had finalized a draft agreement in a series of secret meetings in neighboring Jordan but the draft was rejected by Netanyahu's right-leaning government. 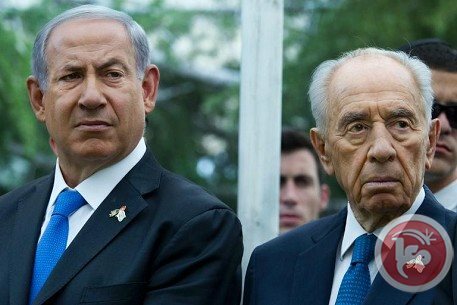 "We had gone through all of the points and the agreement was ready," Peres told Israel's Channel Two television in an interview on the occasion of Israel's independence day. "Netanyahu told me to wait a few days because he thought that Tony Blair could get a better offer," Peres said, referring to the former British prime minister who is the envoy of the Middle East peacemaking quartet of the EU, Russia, the UN and the US. "The days passed and there was no better offer." "After the first four meetings, a fifth meeting was planned in Amman but Shimon Peres made his excuses and told me: 'I'm sorry but the government doesn't accept what we have negotiated and there's nothing more I can do'," he said. In Israel, the post of president is largely ceremonial and executive power rests with the prime minister. Peres is to retire next month at the age of 90. His comments come with the peace process in tatters after the collapse in late April of nine months of US-brokered peace talks between negotiators for Abbas and Netanyahu.